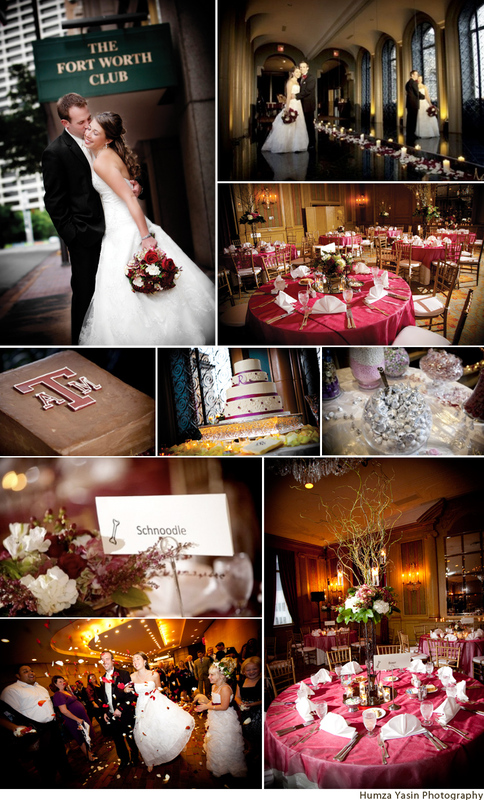 We wanted to share some more gorgeous images from this fabulous fall wedding at the The Fort Worth Club featured in the latest issue of Brides of North Texas! Humza Yasin Photography captured a truly memorable evening of fun and excitement celebrating the union of Nicole and Anthony. The tables were draped in boldly-colored linens for a pop of color and were topped with beautiful floral centerpieces. It was the perfect fall evening affair! If you’re looking for an extravagant space for your grand affair, be sure to check out the many room options for events large and small! You’ll find spectacular views, award-winning food and a simply romantic atmosphere. Cheers!